The pressure cooker has been around for ages, but only in the last decade has Instant Pot popularized the electric pressure cooker. 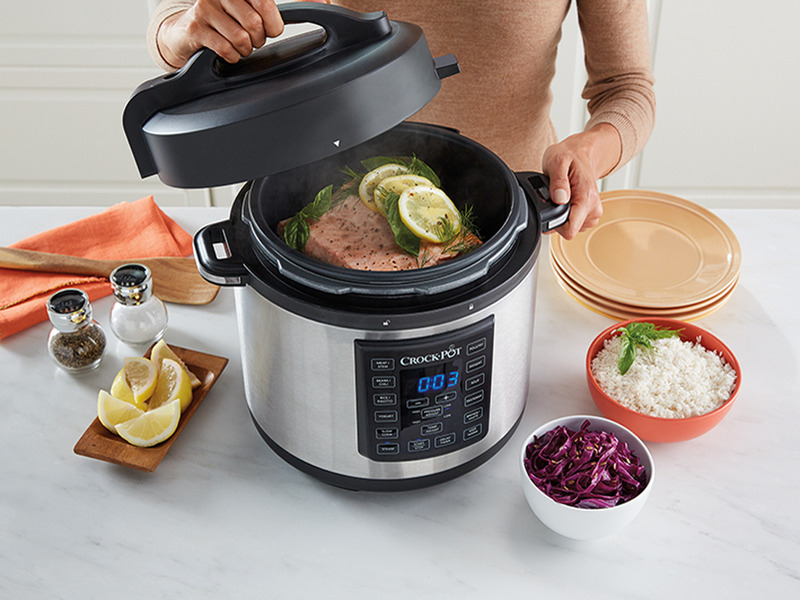 Mostly known for their slow cookers, Crock-Pot has entered the electric pressure cooker market with their Express Crock Programmable Multi-Cooker. I especially appreciate how easy it makes a variety of healthy meals in one pot without dirtying several pots and pans. Though it isn't the most affordable electric pressure cooker available, the Crock-Pot Express Crock Programmable Multi-Cooker has a low price (currently $69 on Amazon) while providingmany of the same functions as much more expensive models. Not too long ago, I wrote an article comparing Instant Pots to Crock-Pots. 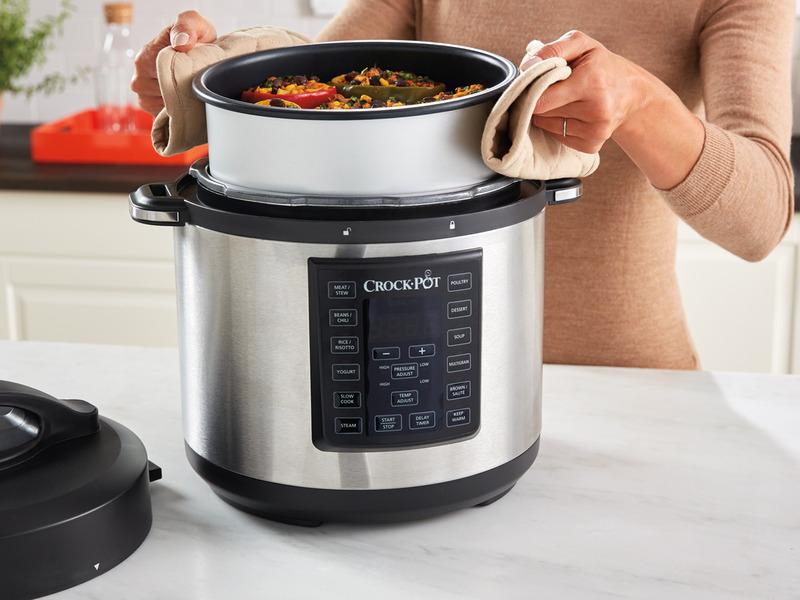 I mentioned that both brands have dipped into the other's territory with Instant Pot making a slow cooker and Crock-Pot selling an electric pressure cooker. Well, Crock-Pot read the article and insisted I experience their foray into the multi-cooker space. So, I did. If you're new to the game, electric pressure cookers use a combination of heat and pressure to cook your food quickly while retaining most of the nutrients and flavor. Many of today's units combine several other uses with the pressure cooking function, including slow cooking, browning, and more. Crock-Pot came onto the scene in 1971 with its simple bean cooker. Since then, the brand has become synonymous with slow cooking. The Crock-Pot Express Crock has only been on the market for about a year, and it's already built a reputation for quality performance with a 4.2-star customer rating on Amazon. I have used multi-cookers for years, mainly the Power Pressure Cooker XL, and my first impression of the Crock-Pot Express was that it looked just like the pressure cookers offered by other brands. They all seem to have a selection of pre-programmed functions on the front control pad, and a basic LCD screen. The Crock-Pot Express also allowed you to choose between low and high pressure and low and high temperatures (for slow cooking.) The Crock-Pot Express currently only comes in a six-quart size. WalmartCleaning the Crock-Pot Express was a breeze. The inner pot never ended up with burnt on foods. To test the Crock-Pot Express, I used a broad range of functions and tried out recipes that came with the unit plus several recipes designed for use with the Instant Pot to see if the Express worked as an alternative to this best-selling pressure cooker. The Express is marketed as an 8-in-1 multi-cooker. The eight fast cook functions are meat/stew, multigrain, soup, dessert, poultry, yogurt, rice/risotto, and beans/chili. 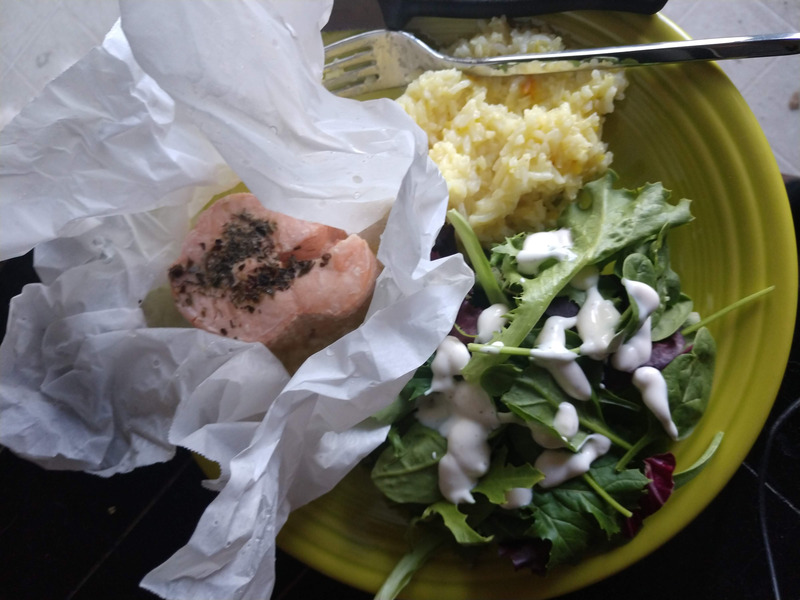 The first dish I attempted was herbed salmon parcels following the directions from the included recipe book. For this, I used the Steam function with the steam release valve in the "Seal" position. When the steam release valve is sealed, the pressure is able to build for pressure cooking. The salmon sat on the included steaming rack with two cups of water on the bottom of the pot (pressure cooking requires liquid to build pressure.) The resulting salmon was delicious. Even my picky four-year-old ate it up. Next, I tried the Slow Cook function to see if it could replace my Crock-Pot. The test meal: spaghetti sauce with Bolognese. This used the Brown/Sauté function to cook the beef. I would compare it to cooking on medium-high in a nonstick pan on the stove. I then covered the pot with the steam release valve on "Release" and slow cooked on low for eight hours. This meal turned out fabulous. However, with the classic Crock-Pot, you have a glass lid that allows you to monitor the progress of your food. Currently, there is no such option for the Crock-Pot Express. The Rice/Risotto function produced sticky, tender jasmine rice. Yet, between building the pressure, cooking, and releasing the pressure, it wasn't any faster than my preferred method on the stove. For me, the true utility of multi-cookers is their ability to dramatically reduce the cooking time for large slabs of meat. To test this out, I made Hawaiian Kalua pig, which is essentially a type of pulled pork. In less than two hours, it took a cheap five-pound hunk of pork shoulder and turned it into a tender, mouthwatering meal. It would typically take a slow cooker or smoker more than 8 hours to cook pork to the point it shreds easily. And, cleaning was a breeze. The inner pot never ended up with burnt on foods. Everything seemed to just slide off. I would also thoroughly wash the lid, though it was rarely dirty. When making garlic herb pork chops with green beans, I noticed a loud hissing sound when the pressure should have been building. I looked at the top and the steam release valve was in the sealed position. So, I figured I was good. After a few more minutes of the hissing, I knew something was up. I nudged the valve and it fell into place blocking the steam release. This only held up dinner a little bit since pressure built up quickly once the valve was in place. There are several pre-programmed functions that estimate how long certain foods will take to cook. This is the baseline, and from there, you can adjust the time to fit your specific needs. However, it is not completely customizable. When making the pork chops, I was following a recipe designed for the Instant Pot (as most pressure cooker recipes are), and it called for one minute of pressure cooking. I tried the Rice/Risotto, Stew, Steam and Poultry programs, and none of them would let me pressure cook for just one minute. Three minutes was as close as I could get, which turned out to be fine. Lastly, every pressure cooker model I've come across has a sealing ring in the lid. And, every pressure cooker has customer complaints about the ring taking on the odors of whatever was last cooked. The Crock-Pot Express was no exception. I did not have a problem with this since the odor did not affect the flavor of subsequent meals. However, if this does concern you, try running the multi-cooker on "steam" for a couple minutes with two cups of white vinegar in the pot and seal the lid. Overall, if you have heard about the pressure cooker craze and are considering purchasing one of these appliances, the Crock-Pot Express is an excellent alternative to the Instant Pot and comes from a company with a track record of quality. Plus, at about $70, the Crock Pot Express Crock Programmable Multi-Cooker is less expensive while providing comparable features.